This semi-permanent hair dye has been specifically formulated for use on the eyebrows. 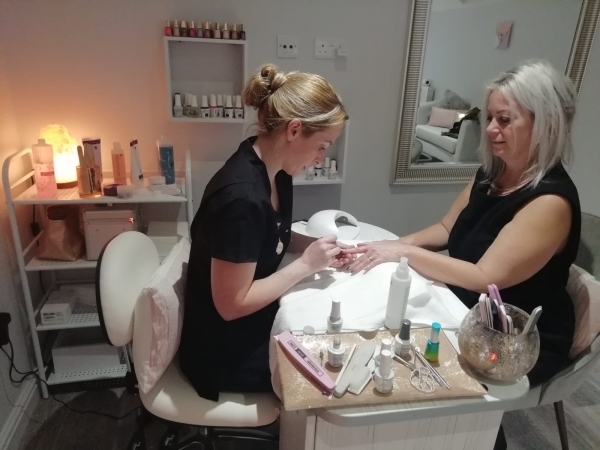 This service is beneficial for those with grey eyebrow hairs, thin eyebrows, those who have changed their hair colour and for general eyebrow upkeep. An initial patch test and consultation will be carried out, the right shade of the eyebrow tint is then selected. Libby will cleanse the area, removing oil and makeup. The tint will carefully be applied to the eyebrows and takes about 5-10 minutes to develop. Libby will the remove the tint using a cotton wipe. This service visibly lengthens, darkens and thickens the appearance of eyelashes without smudging or clotting. Specifically formulated for eyelashes, this safe and quick service accentuates your natural beauty. A patch test and consultation will be carried out. The eyes will be cleansed, removing excess oil and makeup, Libby will then protect the eye using special stickers around your eyelids. The dye will be carefully applied to both the top and bottom lashes, the tinting will take around 5-10minutes to develop. Libby will then carefully remove the eyelash dye and you will be left with darker, natural looking lashes. Perfect for a special occasion or weekend away. A patch test and consultation will be carried out. Libby will find out exactly what you would like and explain the treatment. The eye area will be cleansed and Libby will then meticulously glue small clusters of lashes to the eyes.